Move your career forward with Walden’s online MSW program. Engage in real-world training and licensure preparation in a thriving community of educators and practitioners. Walden’s accredited online MSW program blends the flexibility of online learning with hands-on experiences to empower you to make a difference as a licensed social worker. An MSW degree from a CSWE-accredited program is required to obtain licensure in most states. Why Pursue Your Online MSW With Walden? Move forward in becoming a licensed clinical social worker: Walden’s online master’s in social work curriculum prepares you to pursue licensure in your state. Gain an edge with enhanced preparation for your internship and career: Combining online and face-to-face interactions, two MSW Skills Labs allow you to build practical skills and readiness for your licensing exam. Earn your degree your way with three degree completion options: You’ve got choices that make it easier to fit earning a Master of Social Work degree into your busy life. Focus your coursework on what matters most to you: Choose from four online MSW concentration options that are aligned with today's in-demand social work jobs. Walden University’s Master of Social Work (MSW) program is accredited by the Council on Social Work Education (CSWE), a specialized accrediting body recognized by the Council for Higher Education Accreditation (CHEA). CSWE's Commission on Accreditation is responsible for developing accreditation standards that define competent preparation for professional social workers and ensuring that social work programs meet these standards. Choose from three degree completion options that match your goals and schedule, as well as four start dates throughout the year. The Standard option helps you balance your online master’s in social work program with other life commitments by limiting your workload to one or two courses per term. The Accelerated option is an ideal choice if you can dedicate yourself to full-time studies. This option requires a strong time commitment, as you’ll take three courses in most terms. The Advanced Standing option is for students who already hold a Bachelor of Social Work (BSW) from a CSWE-accredited program and graduated with a minimum GPA of 3.0. If eligible, you can reduce your completion time by skipping intro-level classes and starting your degree with advanced-level courses. Develop the therapeutic skills to engage clients in defining issues, setting and prioritizing goals, and committing to the change process. Address the needs of military personnel, veterans, and their families, including before, during, and after deployment. Prepare for practice in the complex healthcare environment, as you learn to support clients and families facing a variety of medical challenges. Promote child, youth, and family success in the face of challenging environments and social conditions. Accredited by CSWE, our master’s in social work program combines practical curriculum with groundbreaking classroom tools and experiences. Two Skills Labs give you the unique opportunity to meet faculty and peers, hone your skills, and prepare for your field practicum. 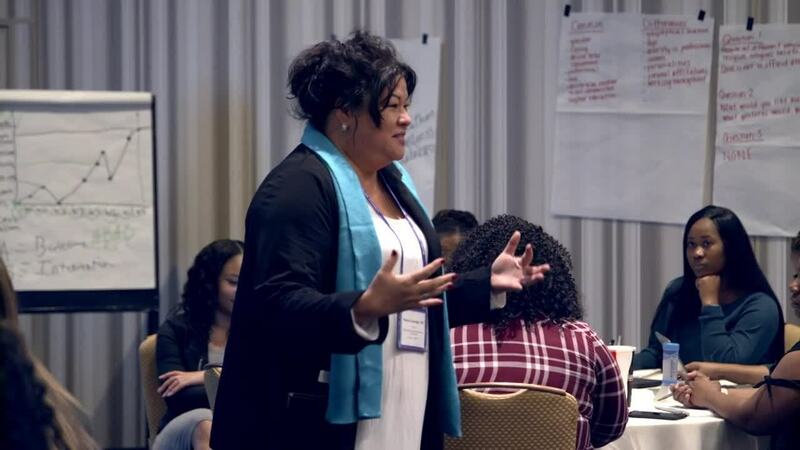 The Master of Social Work (MSW) program prepares scholar-practitioners who demonstrate culturally responsive ethical, evidence-based practice with individuals, families, groups, organizations, and communities. The curriculum emphasizes cultural humility within a strengths-based, generalist intervention model and provides advanced clinical skills needed for specialized practice. The program prepares students to be change agents within and beyond their local communities and to advocate for social justice on behalf of diverse populations, with particular attention to people who are vulnerable and/or oppressed. Utilize evidence-based research and critical thinking skills to inform practice in meeting the needs of diverse clientele. What’s the Career Impact of Earning an MSW Online? Now is the time to pursue your passion for helping others. According to the Bureau of Labor Statistics, demand for social work professionals is expected to increase 16% by 2026—much faster than the national average for all occupations.1 This is particularly true for clinical social workers. Open exciting new doors in your professional journey with a master’s in social work degree from Walden. Social work professionals with graduate degrees are sought by employers nationwide in industries such as healthcare, education, and human services. Career options may require additional experience, training, or other factors beyond the successful completion of this online MSW degree program. Learn more about the career outlook for graduates with a Master of Social Work. Find detailed information for this program including possible occupations, completion rate, program costs, and median student loan debt. This information will vary depending on whether you (1) hold a BSW or (2) do not hold a BSW. Read our Master of Social Work Program Outcome Report. The theory I’m learning in my Walden classes is fascinating. It helps me really understand my world and the culture I grew up in. PhD in Social Work student Adrian Green shares her insight on struggles and opportunities within child protective services. Social work is often described as challenging and frustrating, but it's also rewarding to see the difference social workers make in people's lives and communities. MSW student Kailee Bauman hopes to advocate for and raise awareness of special-needs kids. Why Choose a CSWE-Accredited Online MSW Program? Walden offers the Graduate Social Work Programs for the Barbara Solomon School of Social Work and Human Services, we work diligently to bring you the latest in social work education and content, so you can go back out and make good in your community. The student that comes to our school, many of them are already actively doing things in their community. So they come to Walden because we offer a quality education that meets their needs-- that suits their schedule. We've done some things that other schools haven't thought of or don't do because they have that bricks and mortar support. So we know who we have in our classrooms. We know the environment in which we're teaching, so we've developed a program that is exactly for the online student. Our video case studies are a revolution in the way of learning. Students get to take what they learn and watch and see how you help people. Adding to that, our MSW skills lab are a unique learning experience for our Walden students, which help our students prepare themselves for their field placement and for the world at large. In addition, we offer our students the opportunity to take a license preparatory session where we present the skills and strategies our students need to be able to take the social work licensing exam after graduation. At Walden, we partner with you to find the best field placement you can find in your community that serves the population that you wish to work with. You're not just earning a degree. You're developing the power to change lives. Build a foundation of skills that can position you for success in the field of social work. Change the way you change lives. Social work professionals are sought after by employers nationwide. Learn more about the many benefits of pursuing your MSW. By combining online training and face-to-face interaction with field professionals, our MSW Skills Lab helps prepare you to excel as a social worker. 1Source: Bureau of Labor Statistics, Occupational Outlook Handbook, Social Workers. 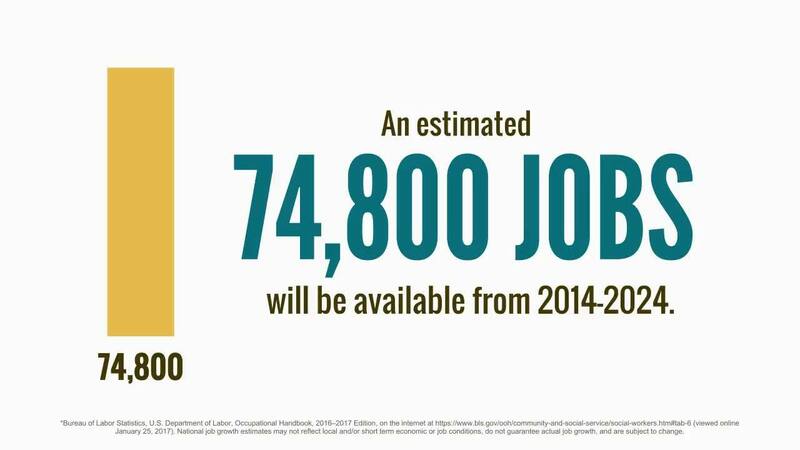 National long-term projections may not reflect local and/or short-term economic or job conditions and do not guarantee actual job growth. 2Source: Data for this analysis of job postings for professionals with a master’s degree in social work from January 1, 2018, to December 31, 2018, was retrieved using Burning Glass Technologies: Labor Insight™. Results for industry sectors and job titles are at the national level and may not reflect local and/or short-term job conditions and are subject to change.